Join us for Vineyard Vibrations on Friday, May 11 from 6-8pm for free, live music by Joshua Sinclair. The Infinity Restaurant Group will also be here with food available for purchase! 14 albums in and Joshua Sinclair is just getting started. 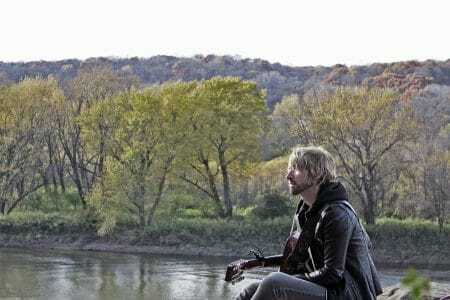 With the release of his latest record, “Big Dreams, Cold Floors, Fine Ladies,” Josh has captured what life has been like as a songwriter for the past 20 years in twelve brand new songs. The trifecta of the highs and lows of life on the road, the glitz, glam and disappointment of signing record deals & the music biz in general, and the failed relationships along the way; this record has it all. It’s a throw-back to what made him fall in love with music in the first place…just stripping it back down to saying what you need to say and writing how you feel with no limits or guidelines in the process. This record is raw, fun, lonely, exciting, broken, reborn, all in one.